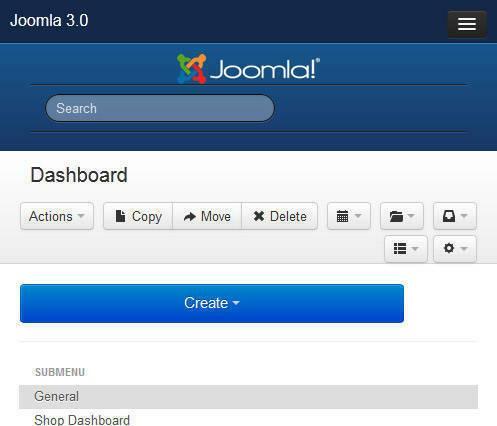 There are worked heavily with Joomla 3.0 launch and alpha 2 is just around the corner. Joomla will be the first CMS tool that will be 100% adapted for mobile devices like tablets and mobile phones. This means that all functions in the administration tool now easily maintained and adjusted eg via your iPhone or iPad. Joomla is undoubtedly the first of this modern adaptation that we see is a very big and important step for modern CMS tool. Mobile fitting is made with Bootstrap developed by people in the company twitter. It is an open and free tools to make user interfaces for Web works in any format. When Joomla 3.0 is approaching a more stable version will we Joomlaproffs to put up a demo site where you can test the new administration interface. We will get this soon!